The brief for the Club Pro was simple. It had to look and ride fast. As fast as a hare or a speeding bullet train. Lightning in jersey form. Whether you're feeling fast or you just want to convince yourself that you are, the Club Pro is the one for you. 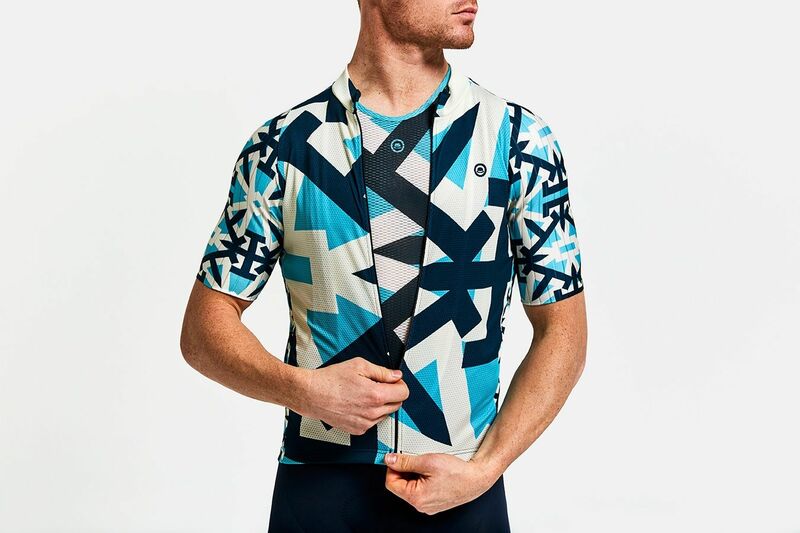 Completely new for 2019, the Club Pro features aero sleeves for an even faster version of our popular Club jersey. It is lightweight, comfortable, quick to dry, bullet fast and stylish. The stripe sleeve fabric is not only aero-fast but delivers style and allows us to create tonal differences in colour that works beautifully with the main body fabric. 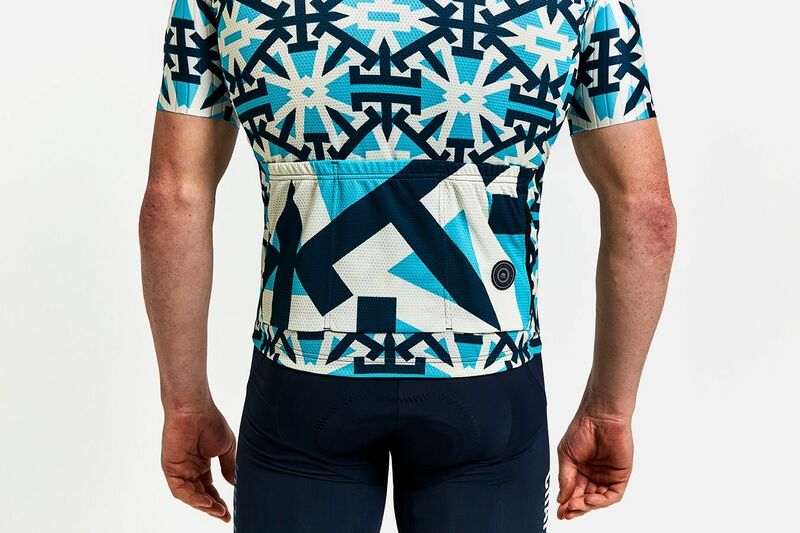 The rear of the Club Pro Jersey has the essential three pockets and a zip-up security pocket for your keys and coins. There's also a full gripper to hold the Pro securely in place. 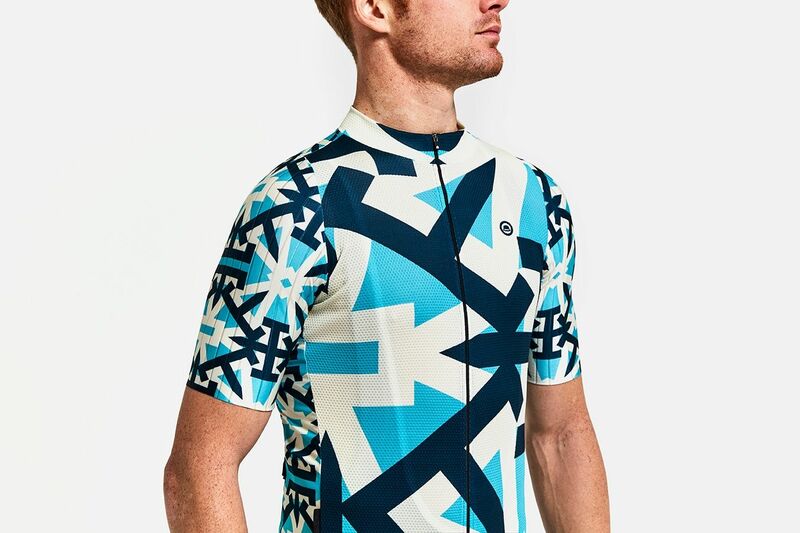 You can choose to go full on with the pattern or low key with the logo only, as well as the ever sharp chest stripes. You can even pair with a matching base layer for full on dazzle. The Chapeau! 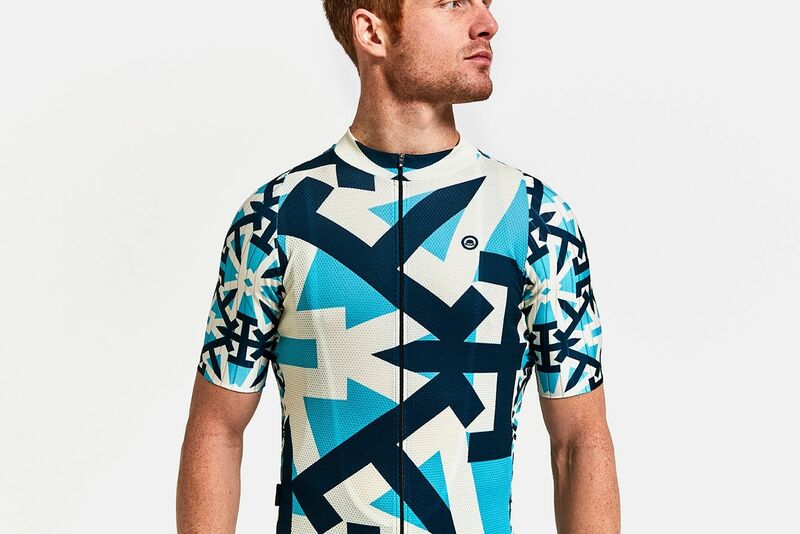 Club Pro Jersey is our fastest ever cycling jersey that offers form and function in abundance. This is James, he is wearing a Large Men's Club Pro Jersey, Medium Club Bibshorts and our tall lightweight socks.